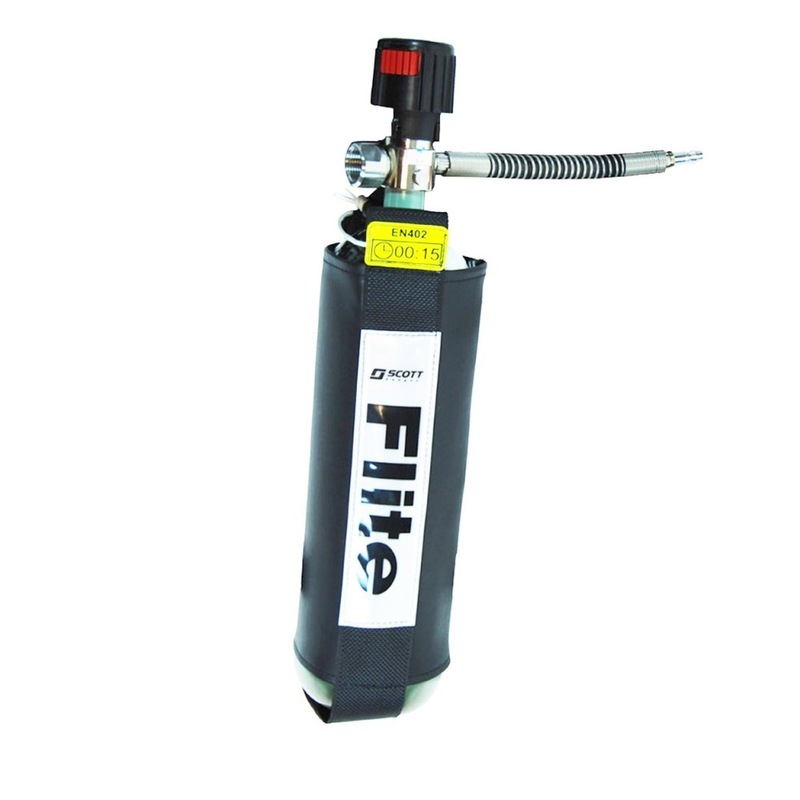 An optional hip mounted emergency escape cylinder for use with the Flite Airline Breathing Apparatus which serves as an important additional safety benefit to safeguard against a failure of the airline supply. The 3 litre, 200 bar steel cylinder comes complete with pouch and connection hose to apparatus. It has a locking handwheel and regulator and gives a rated duration of 15 minutes.